Do the Boston area's exorbitant prices have you feeling a wee bit discouraged? Is your work situation flexible enough to allow you work virtually and/or to move to a place "somewhere further out"? A place where houses are bigger, prices are lower, and life is better? If so, read on! This post is the first in what will hopefully become a series of snapshots of such opportunities. While the properties are real and their owners would love to show you around, our primary goal is to suggest entire categories of opportunities that exist within two hours of Boston. In case you're wondering, The Real Estate Cafe has no financial interest in the properties we'll be featuring in this series, or in their sale. We obtain permission to feature each property from the owner or their agent, but nothing more. What's in it for us? Probably nothing, except the opportunity to share our love of older buildings with our readers. 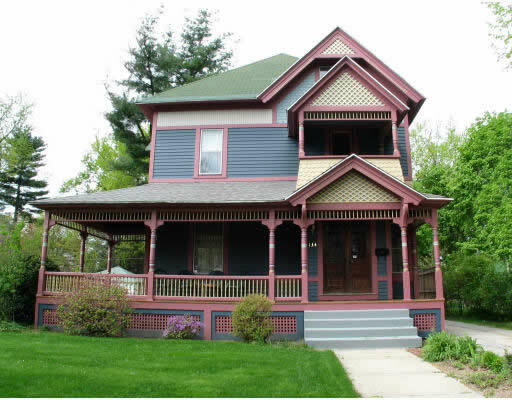 We discovered this property while exploring open houses in Springfield. It's located in the McKnight Historic District and has 3300 square feet of living space situated on a 1/5 acre lot. General information on Springfield, and our take on Springfield's potential can be found here. 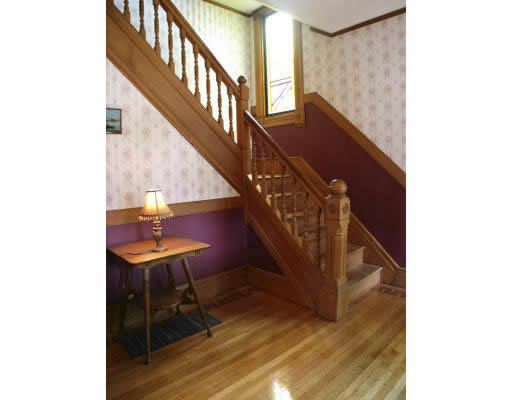 The house has been lovingly restored by her current owners. Vinyl siding removed, exterior paint scraped down to bare wood, and new paint applied. Colors are historically accurate. 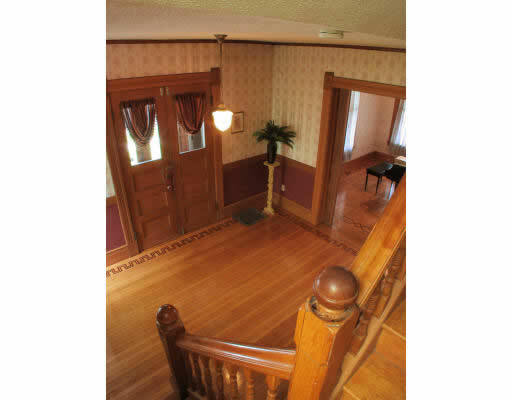 All of the floors on the first floor, and most of those on the second have been sanded and refinished. Most of the original hardware - doorknobs, hinges, etc. - has been restored. 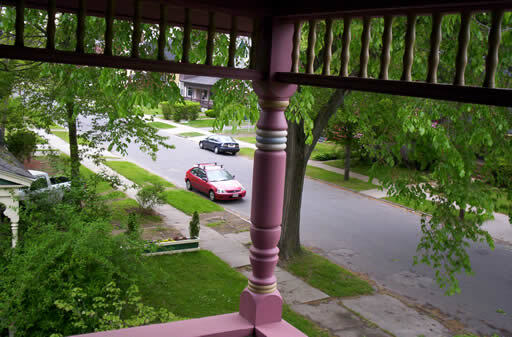 Front porches have been extensively restored - with replacement posts and spindles for the second floor porch recreated to match those on the first floor porch. 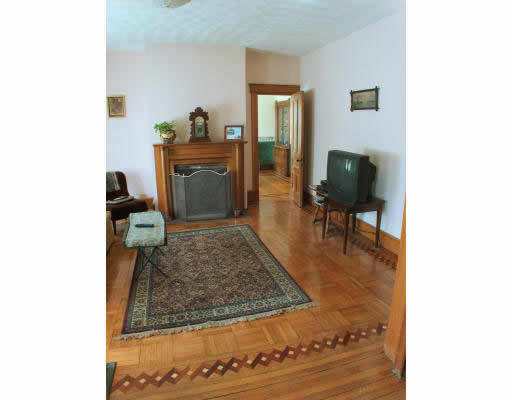 For more information on this property, contact Anthony Giarratano. He is both an owner of the house and listing agent with Sears Real Estate in Springfield.